Can trees be BFFs? Yes! I love gardens. I love trees. I love spending time outdoors. And yes, occasionally i enjoy playing hooky at work. Every time we have a guest, one of the places I like to take them to is Lalbagh Botanical Gardens. Truly this is a wonderful place to while away a day absolutely absorbed in nature. Of course it helps that there are some really nice eateries nearby, including the iconic MTR. So when we had a visitor from abroad, we naturally decided to include Lalbagh in the list. Added bonus? The visitor loved gardens, too. We set off after a healthy breakfast and decided to explore the gardens on foot. Takes a lot longer but the pleasure is so worth it. Lalbagh also has a wonderful lake with a waterfall that’s fondly referred to as the Niagara (ha, ha). But more about this place in a separate post because there’s lots more to say and loads more photos to show off! Today I just want to highlight a particular tree for Parul’s Thursday Tree Love blog hop. I call them BFFs and I’ll tell you why. Just look at the way one tree is wrapped around the other. But why BFF? Because, when I saw this tree exactly four years ago to the day, they looked like this. They’ve grown together. They’ve supported each other. They’ve stood strong. Their relationship, probably symbiotic, has grown over the years. Their connection has withstood all kinds of weather–heavy rains, storms, hail storms, heat, and who knows what else. They just seem to have become closer through all this, as time passed. This is how the tree looks from the other side. Somehow, this picture always reminds me of the photo in that story, “The fox and the grapes” Do you think so? Relationships take work, whether one admits it or not. Of course when it is a good one, you don’t even feel that you are making an effort. It is only when things start to become strained that you start keeping score over who did what and how many times. Do you have a relationship that has become stronger and more supportive over the years? My oldest relationship would be with my sister – since the day she was born. We’ve fought and made up and fought again and finally now we’re best of friends. Oh I love how those trees are entwined together. I’ve been to Lalbagh years and years ago. It’s huge isn’t it? My oldest friendships are more than 55 years old…I must confess that we don’t meet all that often. My relationship with them is cosy yet of late I look at them from a different perspective…their narratives of the past are a little ridiculous…and here the ego comes to the fore….I can’t understand why twist tales of the yore…. Shilpa Gupte recently posted…10 quotes from Grey’s Anatomy. The trees do seem to be hugging each other.. Lalbagh is a great destination for guests provided they like nature and walking!! I have visited only once… Thanks for this wonderful post !! Wow. That tree is amazing! I love trees and walking thru the woods. It just feeds my soul… Longest friendship? About 50 yrs. and still going strong! That’s amazing! I look forward to seeing more photos. Seems like a place I’d adore. A local gardening expert/arborist explained on his radio show recently that tree roots intertwine beneath the ground over time. He griped at how the state of Ohio here in the USA sprays wide swaths of weed killer along the highways to keep the roads clear and it damages even wider swaths of trees. ~sigh~ Namaste, my dear. 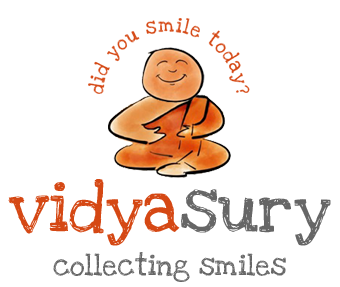 Thank you for the brilliant post, Vidya! I had never seen such trees before! They are really like big friends, embracing or shaking hands to each other. As for me, I met my best friend occasionally, on the seashore, during my summer vacation when I was a student. It was 25 or more years ago. “BFF” is just perfect fo those trees. My oldest friendship was 52 years, my BFF who passed away in 2015 from cancer (we met what, in the United States, is called 5th grade). My husband, who is also my friend, I have known for 47 years, and my current best friend, for nearly 20. That is so unique and amazing. BFFs is the right word. 🙂 I have been to Lalbagh but I need to go again with my camera. I love Cubbon Park but I agree that Lalbagh has more to boast off. 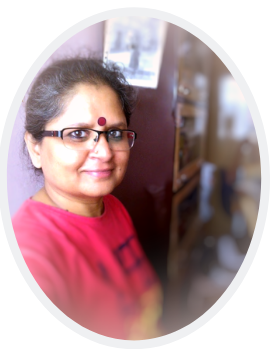 Parul Thakur recently posted…How do you get the time to blog?